The Internet has changed the way that we all conduct our day-to-day lives. From desktop computers to more portable devices like smartphones and tablets, the connectivity of the world has never been stronger. Because of the increased connectivity that we all have, many people are trying to find jobs in which they can work from the comfort of their own home instead of having a daily commute. 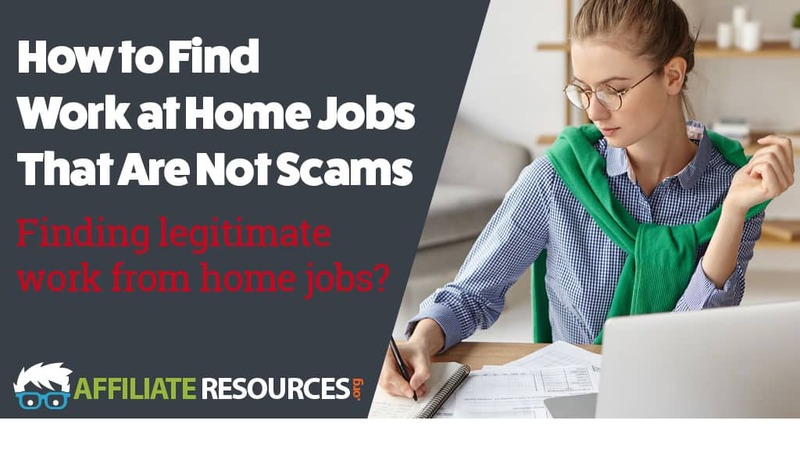 The bad news is that with this increased interest in working from home, scams have been popping up more and more that target people seeking legitimate work from home opportunities. 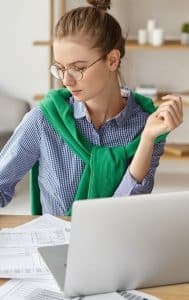 If you’re trying to find legitimate online employment opportunities, it’s important that you know how to find work at home jobs that are not scams. Below are just a few tips on how to find work at home jobs that are not scams and help you on your way to finding a new job opportunity that you can feel comfortable pursuing. When it comes to finding legitimate work from home jobs, it’s important that you always remember one golden rule. That rule being that you should never have to pay money to see or apply for a work from home job. Always remember that you are looking for a job and not a training course or membership. You should never have to pay any money whatsoever to find and apply for open positions. There are a lot of different products and services that promise to help you find an online job if you pay them a small fee upfront or pay for a monthly subscription to receive job postings. Most of these products are nothing more than aggregated job postings from other sites that simply aren’t worth the money. Often, with just a little bit of due diligence, you can find the exact same postings once you know where to look. Since you won’t be paying money to have potential job listings delivered to you every day, it’s important that you know where you should go to start your online job hunt. There are a lot of different businesses out there that have started to create work at home job opportunities and post them on numerous job boards online. When you start searching job board postings for work from home jobs, you’ll quickly find that not all of them are created equally. Often, traditional job boards like those you find in the classifieds and in your local community are very ‘lackluster’ when it comes to delivering work from home opportunities. Instead, head to job boards that are specifically designed for companies seeking work from home employees. Below are just a few places you can look to find great work from home opportunities posted by legitimate companies and organizations. Flexjobs is a great place to start your online job hunting journey. While you won’t be able to see full listings without a paid subscription, you can find some great information on the site. Things like what type of work from home jobs are out there, the qualifications you may need to have and the equipment you may need in order to apply for open positions. Also make sure to check out their company guide that features the best 100 companies for flexible jobs. Once you know the top 100 companies, head over to those companies’ career pages to see if they have any remote worker opportunities available that you can apply for.  Indeed.com is a traditional employment job board that also features a lot of great remote work and telecommuting job opportunities. You can often find a long list of customer service jobs that allow for telecommuting. Best of all, indeed is completely free to see full job listings and even submit resumes and applications for open positions. One word of caution, there are occasional job listings that are scams that make it through the filtering system on the website. Again, just remember the golden rule that you should never pay money to apply for an online position. The only exception to this rule is that you may occasionally have to pay for something like a background check after you complete your interviews. Background checks should always cost less than $100 and typically run anywhere from $25-$40. ZipRecruiter is probably the best job board on this list for finding legitimate work from home opportunities for free. They feature a lot of different opportunities and the site is very user-friendly and easy to use. If you decide to give this site a shot, make certain to take the time to fill out all your work history, credentials and consider even uploading a resume. You want to make certain to take the time to do this because ZipRecruiter will show you whether you qualify for open positions based on the credentials that you enter into your profile. It’s a great way to find numerous work from home job opportunities that fit your qualifications and pay requirements. Not only has the Internet made all of us more connected than ever before, it’s also created a ton of opportunities, if you know what you’re looking for. While you may be searching for a legitimate work from home job, you may want to instead consider creating your own job opportunity by launching an online business. There’ve been thousands of people who have done so successfully, including myself, and the flexibility and freedom that you can obtain from it is life changing. Remember that with online jobs, even though they’re more flexible than commuting to work every day, you still must work on another companies’ schedule. This means that while you may be working from home, you will often still have to work weekends, holidays, and various shifts depending upon the needs of the business. While it does take a little bit of time to really start earning money from your own online business, the freedom and flexibility that it gives you is well worth the wait. If creating your own online business is something that interests you, take a moment to check out my top recommended training resource. It’s where I got my start and learn how to run my own online business that now allows me to earn a full-time income while also being able to create my own schedule. Because I run my own business online, I no longer worry about missing out on time with my kids, time with my family and friends, and I can work from just about anywhere when I want or need to. The lifestyle that I’ve been able to create, thanks to running a business instead of being an employee, is something that I wouldn’t trade for the best paying job in the world. If freedom and flexibility is your goal, you should take just a few moments to read a little bit more information about how you can get started with your own online business today. I’ll be honest, I’ve tried several things to make money online and have found out the hard way that 99% of them are scams, my question to you is this: can you recommend one thing that is legit and you’ve made money with? I read the article and took notes of a few things you mentioned but I’m lookin for that one thing that stands out. Any feedback is appreciated and thank you for taking the time to write this post. What does it take to turn my page into a profitable one? I am using WA for my online business and would love some expert advice on it. Do you think you could help me out? I have seen some of your training videos through WA and have learned a lot in my journey to getting where I am at with my page. You’re making some dreams come true with proving these sites are not scams. Despite all the online advertising you see, there aren’t as many legitimate work at home jobs as you might think, unless you are opportune to come across beautiful posts like this Jay Neill just wrote, thanks for the amazing research work you carried out to gather all these information. Lastly I feel we should Avoid “get rich quick” ads and fake testimonial videos that circulates online. I will like to commend you for this informative article. This information is quite very important for beginners like me, seen that there are so many scam on the internet and it will be very easy to fall for them seen that we are just new, especially when we become so desperate finding a job online. But I will like to ask, if you will get trained for any job you get online.